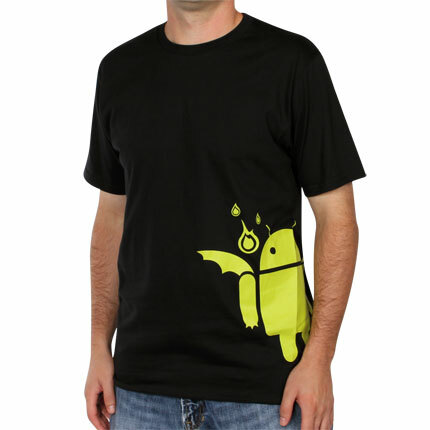 The catalyst for Martin's visit to Google was a happy accident -- or as some might say, the work of the old gods. Last May, Nicholas Farmer was at Professor Thoms', a New York City bar, where a viewing party for the HBO® series Game of Thrones was being held. The bartender nudged him: "Hey Nick, there's the author of Game of Thrones." Farmer went and struck up a conversation with Martin, eventually asking if he'd heard of the Authors@Google series, which his mother Ann Farmer was an organizer for. Martin, friendly guy that he is, was open to the idea of visiting Google, saying "Have your mother contact my publicist, it's up to him." The rest is history. At the event in July, Googler moderator Dan Anthony kicked things off by noting, "The only thing that would be cooler than this was if Joss Whedon came rushing in the door, and said he suddenly had to cast a Googler to star opposite Scarlett Johansson." Anthony praised Martin for creating the "world's favorite dwarf Lannister," quickly adding, "that doesn't mean you can kill him now." Martin -- on tour promoting his latest book A Dance with Dragons -- was himself an engaging and humorous speaker. He answered fan questions and topics from "How did you get the TV show creators to stay so true to the novels?" (Martin: "Candy and chocolates"), to why he doesn't read internet fan forums ("What if they come up with better ideas than the ones I had? "), to his being something of a post-modern Tolkien ("There's an unspoken assumption in [Tolkien's] Return of the King that Aragorn is the king now and everything will be hunky dory. You never actually get into the nitty gritty of Aragorn ruling. And what is his tax policy?"). He also answered other questions often asked by fans, like why he kills off major characters so often ("There's a reason") and whether he plans to do any prequel books to the fantasy series (Maybe). After the talk, I was able to chat with Martin a little about ebooks. The author says he carries his e-reader with him now whenever he travels, whereas in the past, he would incur overweight baggage charges because of the 10 or more physical books he would inevitably bring along. But he was also concerned that digital piracy might do to the book industry what it did to the music industry. 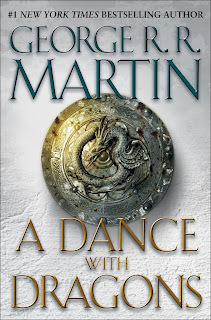 If you haven't already, make sure to get a digital copy of Martin's just released book from the Google eBookstore, A Dance with Dragons, for your smartphone, tablet, PC, netbook, laptop or e-reader device (see a full list of supported devices). Game of Thrones, that is a great book. And the TV SERIES are impressive. I love it. Ebooks have sure made a comeback. I thought they would be dead a few years ago and counted them off. Love Game of thrones..